A thing called rooting can be described as the process of gaining administrative rights on the Android device. once you root the Android device, then you will be able to make changes to it to customize it well beyond what it normally can do. Once you have root access on a device named Nokia XL, you will be able to remove the apps that were preinstalled by your carrier or manufacturer from your device; free up storage space (because of the benefit mentioned above); increase the battery life (the apps that might have been running constantly can be removed); increase the performance. Right after removing the apps that are always running, the device will run smoother); update to the new version of Android. This one can be done by flashing the custom recovery or ROM; tons of the other customization when you use the new found administrative rights to flash the custom ROM. For those who want to know how to root the Nokia XL, here are several stages that you have to follow. The first one is before you begin. In this stage, you have to back up everything you feel. This thing is such an important thing before you start. Then, charge your device to 75% or more before you start to prevent unwanted shutdowns. The second stage is necessary downloads. You can get the Framaroot 1.9.1. apk or the latest version of Framaroot. The third one is rooting the Nokia XL. In order to root your device, first, you have to enable the installation of the apps from the unknown sources. In order to do this, you have to go to Settings > Security and tick the Unknown sources checkbox. Second, connect your device to your Personal Computer (PC) and copy the Framaroot 1.9.1 apk file you downloaded above to the SD card of your device. third, use the file manager app such as the built in File Explorer, navigate to the location of Framaroot 1.9.1 apk, ans install the app. do not forget to make sure that you have enabled the installation of the apps from the unknown sources by going to Settings > Security and ticking the Unknown sources checkbox. Fourth, go to your app drawer and open up the app named Framaroot. Fifth, choose Install Supersu. Sixth, choose Gandalf which can be found on the next screen and wait for the success popup. Seventh, wait for the phone to reboot. Aside from that, you will be able to root your Nokia XL using the Nokia X Manager. In order to do it, first, you have to open the installed Nokia X Manager. Then, connect your phone to PC with the help of USB cable. Next, install ADB drivers and read how to update drivers, if your PC does not detect your device. After that, please wait for the Nokia X Manager to show “device connected”. When it is done, you can click on “Root Device” option to start the rooting process. 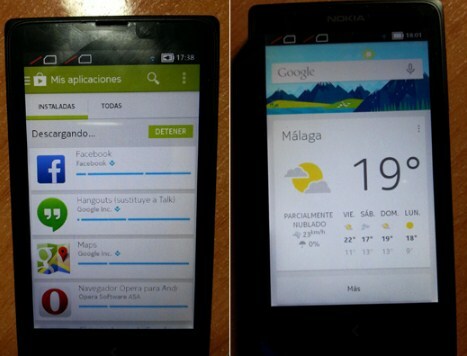 Your Nokia XL will reboot automatically and you can see the SuperSu icon in the app menu of the device. Related Post "How to Root Nokia XL"